I have an idea… Put down the lap top, stop tweeting, facebooking, and save the instagrams for when you return from an awesome day, weekend or even week-long adventure. 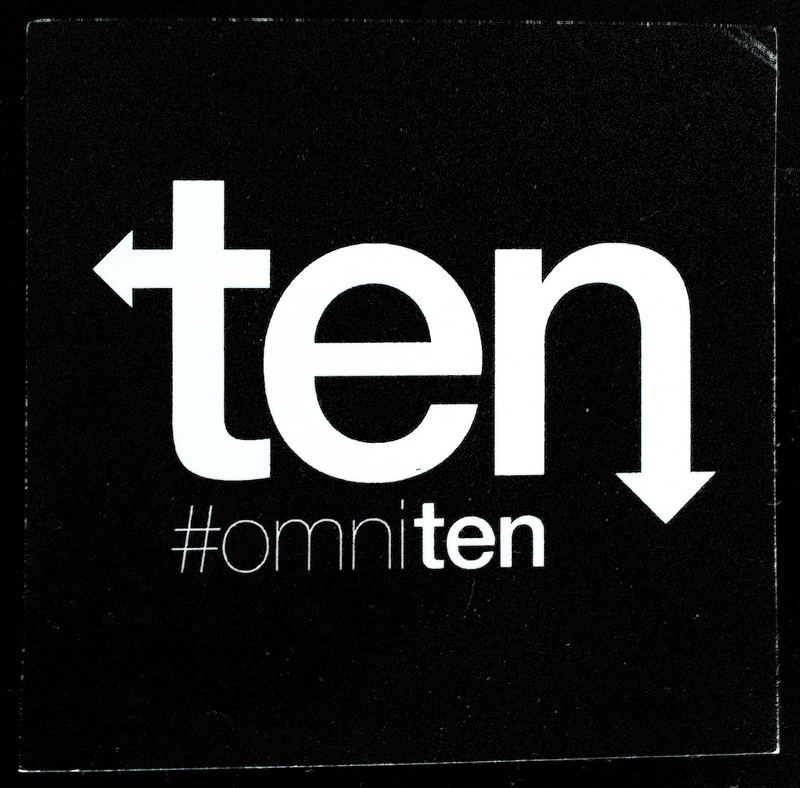 Take pictures with your smart phone, share. Enjoy, make memories. Experience! That’s happiness… Live small and dream BIG. Take chances, travel. Visit all the places you once envisioned yourself going. Make it happen, because there is only so many days you can live. Choose Life! People often say they don’t have time, money or the “know how”. But the simple truth is, if you wanted to experience you would… I understand financially it can be hard. Believe me, I understand. I’m a single father with a mortgage and 2 growing boys who will eat everything in the refrigerator in a day. I work a 9-5 job, make a decent living but by no means am I a rich man. Even if you make it out for a day or weekend, you can find time. One day a week is not a lot to ask for your happiness, your sanity. Get away, chase a dream. Even if it’s just a weekend warrior dream. You can make time. – Try and prioritize your duties and responsibilities. Do what needs to be done first. – Make a list of daily chores. Do them in little increments. When you come home from work, do one chore an evening. If you don’t try to do everything at once, it’s not that overwhelming. – Get the kids involved. If you can’t find time to get outside without the kids, bring them with. They will appreciate getting away from the wifi. – Go on a short day hike, climb close to home. If you get out somewhere close, you can easily make an evening trip, or a single day adventure. 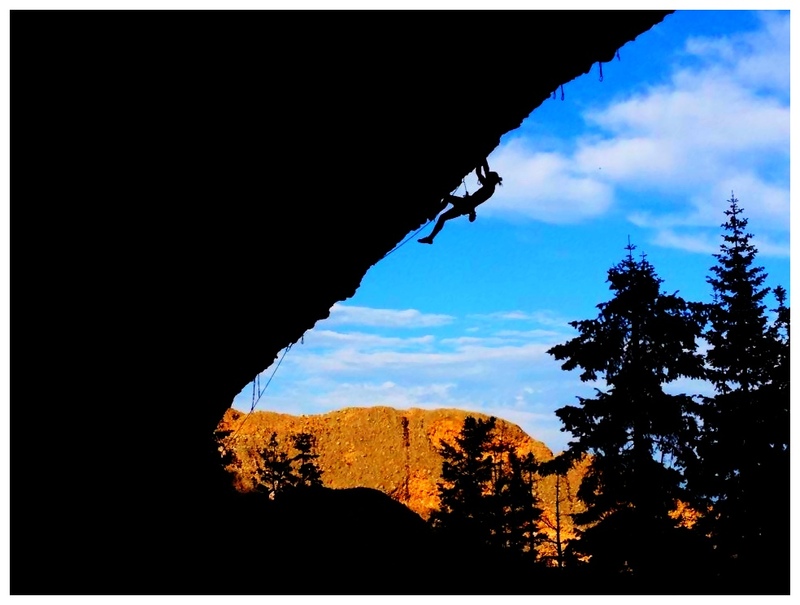 – Hiking, climbing, whatever your outdoor adventure is, can be amazing exercise. This taking the place of going to the gym for long, sweat dripping hours. – Find an adventure buddy. You can split cost of gas, food, park entrance fees. It doesn’t cost nearly as much when the cost is cut in half, or thirds. – Save a little from each paycheck, even if it’s just $10-$20. It usually doesn’t cost more than a $20 to do a single day adventure. And a week-long isn’t more than a few hundred. Most of which will probably be gas. 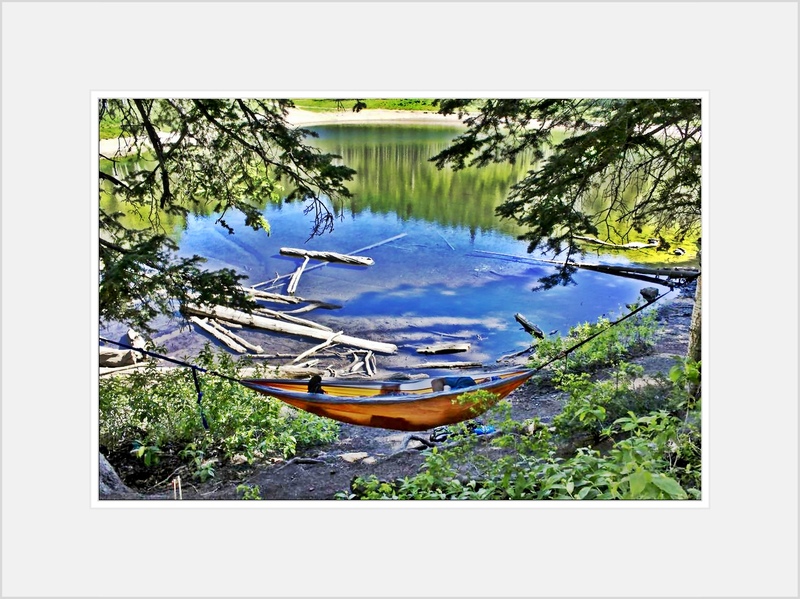 – Look for cheap affordable or free camping near where you plan to adventure. 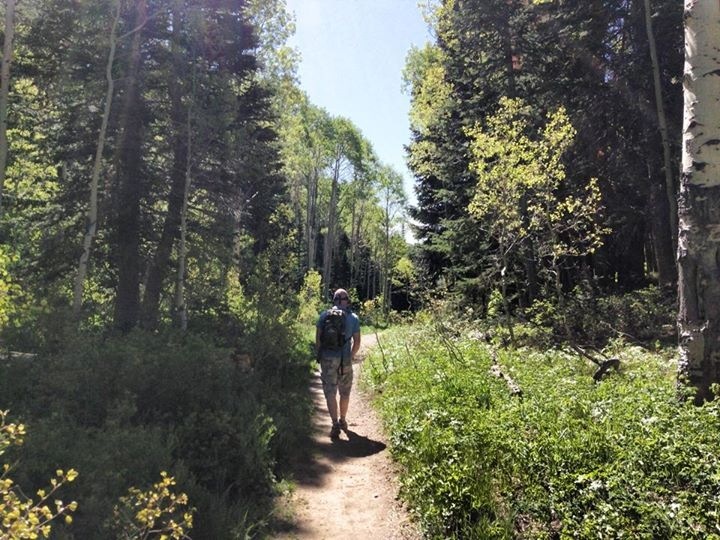 If your back packing, camping is usually free if you are a mile off the road. But always check local rules, some areas require a back country permit (which are typically affordable). – You don’t have to eat steak daily. Dehydrated food packs can be quite cheap, they don’t taste bad and make large portions. And all you need to do is add water. Snacks are an easy way to stay nourished on the trail as well. – When you first start adventuring, find experienced adventure friends who already have most the gear. They can help you pick out quality gear at a good price for what you will need. Who knows if it will even be your cup of tea? Don’t go buy the top of the line gear if your unsure you will even like it. 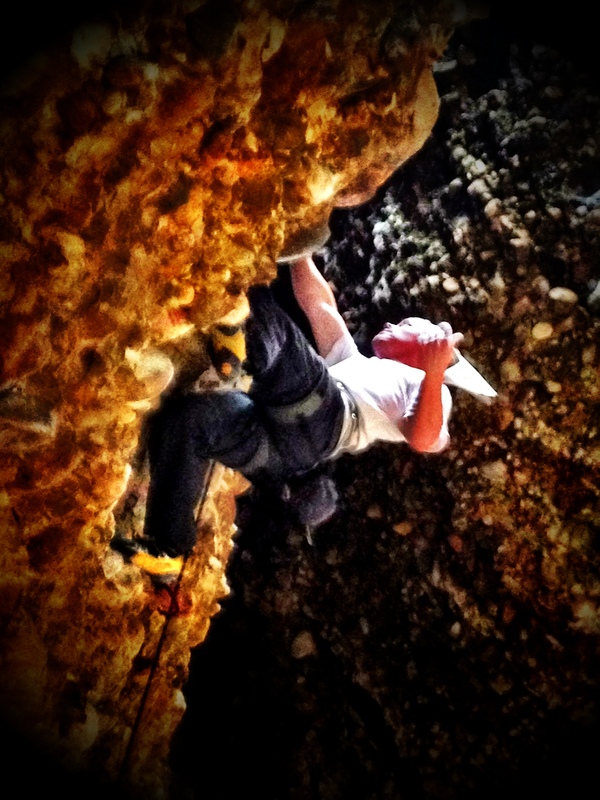 – Take a class… Local community colleges or climbing gyms offer climbing classes. They will teach you the basics on how to get started. And they usually have gear you can rent. May be the best choice, as you don’t even know if you will enjoy it. – REI has classes every month on different gear usage and maintenance. Plus, I believe they are free. Don’t be afraid to ask a worker at the local adventure shop “how to”. Most of them are seriously friendly and enjoy sharing knowledge. – Join a hiking or climbing group on the Facebook. They’re everywhere. All you have to do is sign up and you will get daily emails informing you of the planned adventures. Then just RSVP. Most the people setting up the adventure are ready and willing to educate. – Make a friend at the local gym. Ask someone if they would be interested in taking a newbie climbing or back packing..? If they don’t seem to enthused, offer beer. Works almost every time. – If all else fails, but a guide-book. These usually have enough “know how ” to start small. They will tell how hard a climb is. How long a hike is. How much water you will need. Where to camp. And they always include maps. But be fair warned, start small. 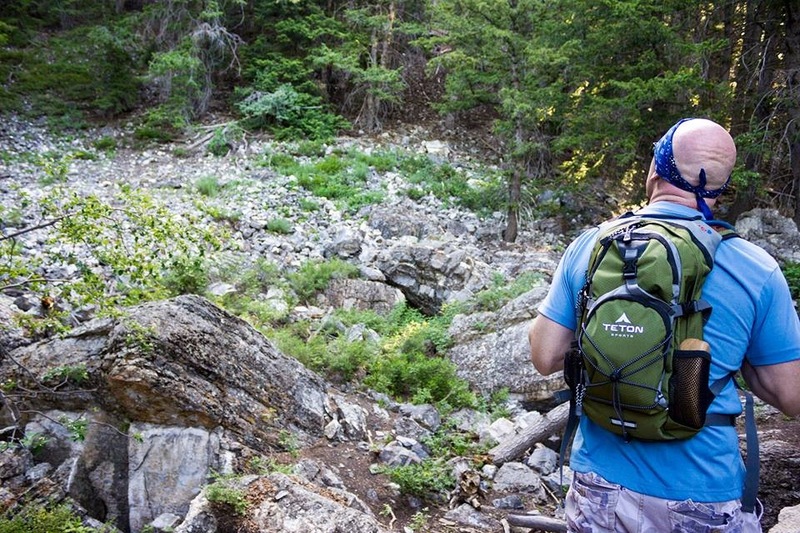 Don’t try to tackle the longest, most strenuous hike in the guide first thing. I’ve lived my entire life here in Utah. This is the ideal place to live. 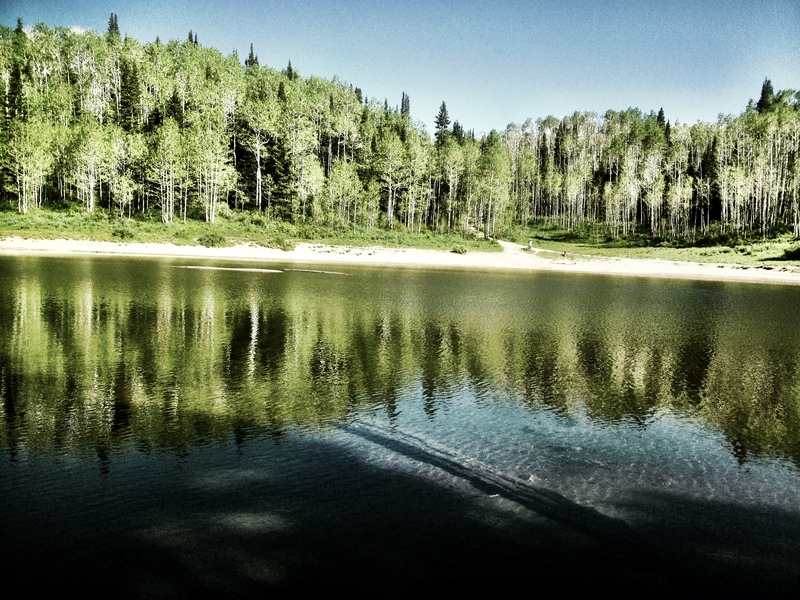 Surrounded by so many other amazing states, Utah is centrally located. So road tripping anywhere in the west is a matter of hours away. And where else do you have climbing, hiking, mountain biking and canyoneering all with in a 30 minute drive from home..? Not to mention the wide variety of winter sports this great state has to offer. Not sure there is another that compares. This past weekend, I had grown to miss my beloved Wasatch mountains. I was in desperate need to escape high into the quakies and discover a new place. So I picked up my new Teton Sports Oasis 1100 pack and headed up to the Big Cottonwood Canyon park & ride to meet up with Shawn Parry. 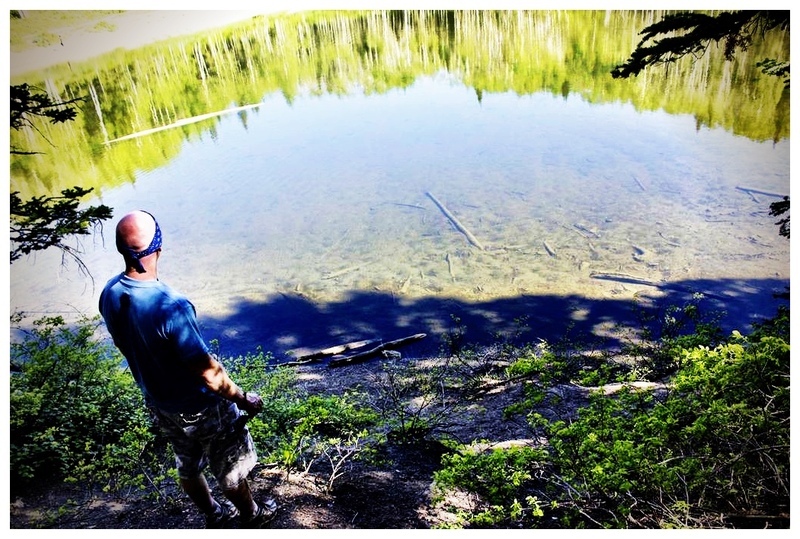 We decided to hike up to Dog Lake and test out some new Teton gear coming out soon. The trail was busy that morning, we hiked at a quick pace, and pretty much passed everyone we encountered on the trail. Other than the altitude bothering me slightly, I felt good. I had my hiking legs under me, I’ve put a lot of miles on my feet this season already. It was roughly a 5 mile hike round trip, so not too bad. After completing the hike Shawn and I decided to get a bite to eat at my brothers restaurant Salt City Cheese-steaks. A convenient drive straight out of the canyon right down Ft. Union Blvd. I did not feel I was done with the canyons for the day. Although I was going to be doing some serious climbing the next morning, I wanted more elevation. I called my friend Willie and asked if he still wanted to hit the MTB trail. 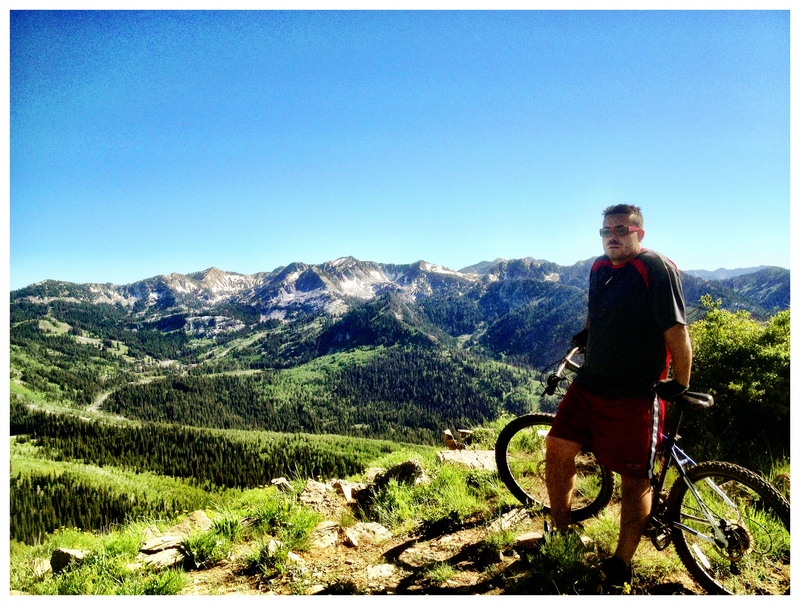 We met up at my house and were soon at the top of Big Cottonwood Canyon. 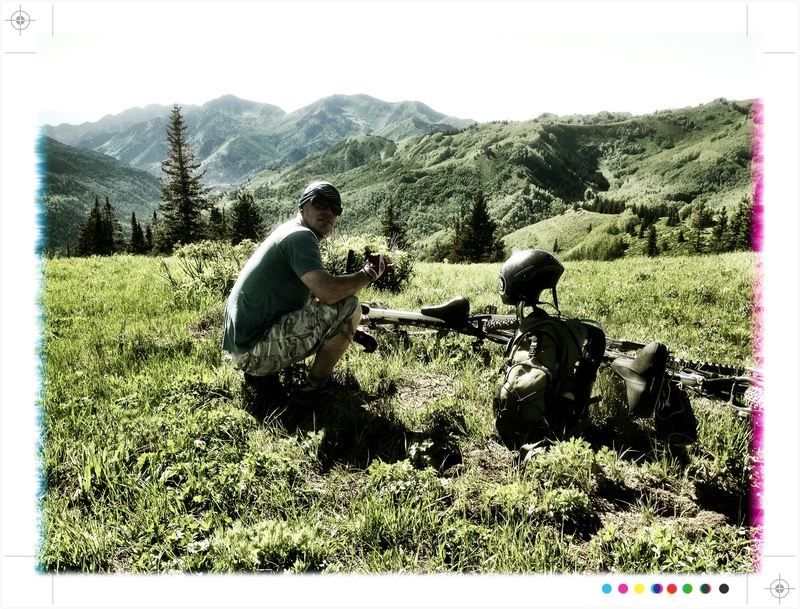 Checking my Wasatch Hiking trail map, we decided to venture out on a trail that started at Guardsman pass. Heading down canyon towards the Great Western Trail, we hit a serious of switch backs and couldn’t help but wonder how the return trip would be..? All up hill? We made it over Scott’s pass and the trail intersected with GWT. We continued on an upward ride toward the ridge. And neither of us being very skilled at MTB, we ended up walking the bikes most of the way up hill. One guy we ran into referred to it as “Puke Hill”. Before heading back down the steep hill, we decided to ride on and see if we could figure out the up hill motion… We were able to get in a pretty good ride, and going back down the steep “puke hill” was definitely the highlight. I felt like I was skiing the mountain in the summer time… On wheels. We decided to skip the switchbacks and ride the dirt road down to the main road, thinking this would be easier. Little did we know, we had to trek back up the main road about a mile, and it was probably steeper than the switch backs were. So we chained the bikes to a mile marker post and walked hiked back to the car. Doing our best to avoid the courteous Utah drivers trying their best to run us over. After picking up the bikes, we made our way to the Cotton Bottom for a garlic burger & a beer. And went to see World War Z at the theater. Willie was given permission to hang out with me while his better half was having a ladies trip in Vegas. (You see, I’m the good influence friend). 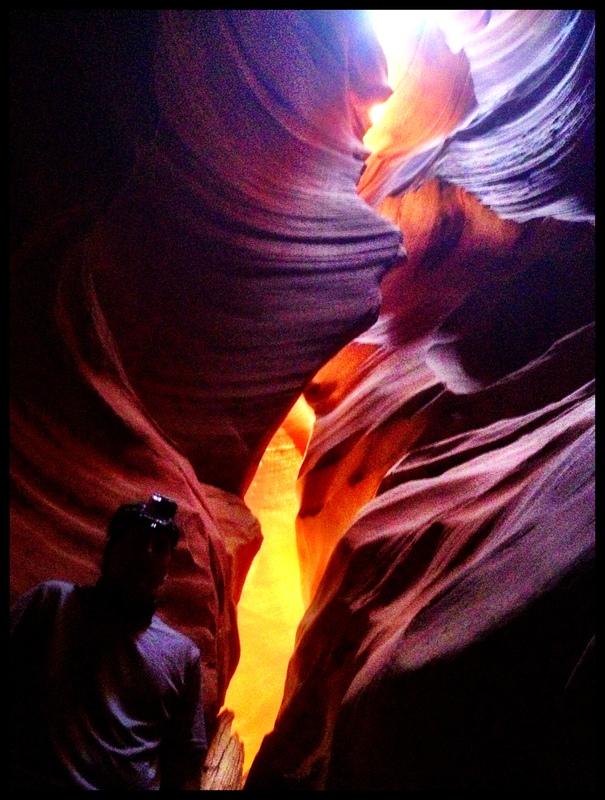 We chose to climb in Box Canyon for the day, a 200′ tall slot canyon off shoot of Maple. Composed of pure conglomerate rock (cobble stones shaped strategically by Mother Nature over millions of years). The canyon is an old river bed, and can be used for some amazing ice climbing in the winter time I’m told. We warmed up on an 5.11b, which I struggled with due to no endurance and it being a harder warm up then I like. Following that climb, we quickly moved onto Watermelon Sugar, a 5.12a. I dogged my way up the route, doing every move, but once again not completely warmed up and my endurance is currently for bouldering. As Sean began to project the steep 5.12d, I set my sights on something a little more my speed. I flashed 5.11a on the wall, but was clearly getting tired. This was my first real serious day of climbing this season, having been slowed down by a couple of surgeries earlier this year and my lack of climbing partners. 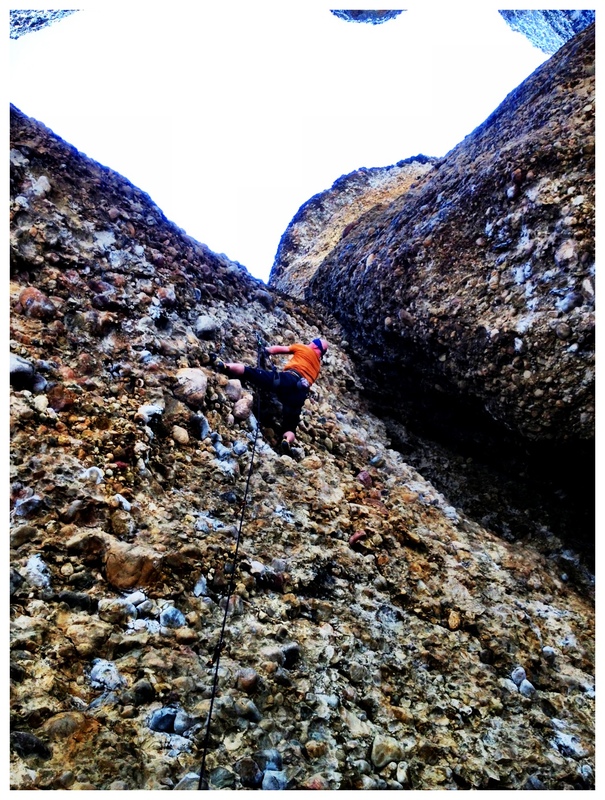 I finished out the day getting completely pumped out on another 5.11b. The route felt greasy and my hands were beginning to open. Holding strong to the rock was a distant memory from earlier that morning. But I continued and topped out the route getting a chance to use my new Camp carabiners and Petzyl runners. My new favorite draws. All in all, I would say the day was a success. I climbed 4 routes, all rated 5.11a or harder, and did every move. Sean as usual crushed, but decided to save the project for another day. As we were driving back towards SLC, I had a moment to recollect… A moment of clarity on my own life. Realizing what it was that I truly wanted out of life, the things that made me happy. In the past when my life was “less than stellar”, I was depressed and angry. I concluded that my love for the outdoors, the mountains and rivers, slot canyons and especially climbing were what I needed. This is where my passion lies, my heart belongs to the earth. The sorrows I had bestowed upon my own shoulders were just that, something I placed on myself. And realizing that happiness is a choice… My choice. And though I have responsibilities, things I must do that I may not want to (go to work). I can find solace in the little moments that can live infinitely if we list them. Relax, breath… Let life take you where you need to be. And you will accomplish your goals. I titled this blog “I ❤ Utah” because I wanted to show the diversity that this great state has to offer. In one weekend, I went hiking, MTB and climbing, and never got further than an hour and 1/2 from my house. And that was only because we chose to climb on Maple. Utah is an amazing place, at this time I couldn’t imagine myself living anywhere else. From the great orange slick rock and slot canyons of southern Utah, to the beautiful Wasatch and Uinta mountains of northern Utah. The Great Salt Lake, really fun to kayak. And the Colorado plateau (yes, that extends into Utah). Utah is home to 5 of the best National Parks on the planet. One of the most popular trails in the world – The Narrows in Zion. And the most popular MTB trail in the World – Slickrock trail in Moab. And we have the Greatest Snow on earth. If you haven’t yet visited Utah, I urge you to do so, you may be surprised at its greatness… But watch out for the crazy Utah drivers. Get outside, even if it’s just for the weekend.